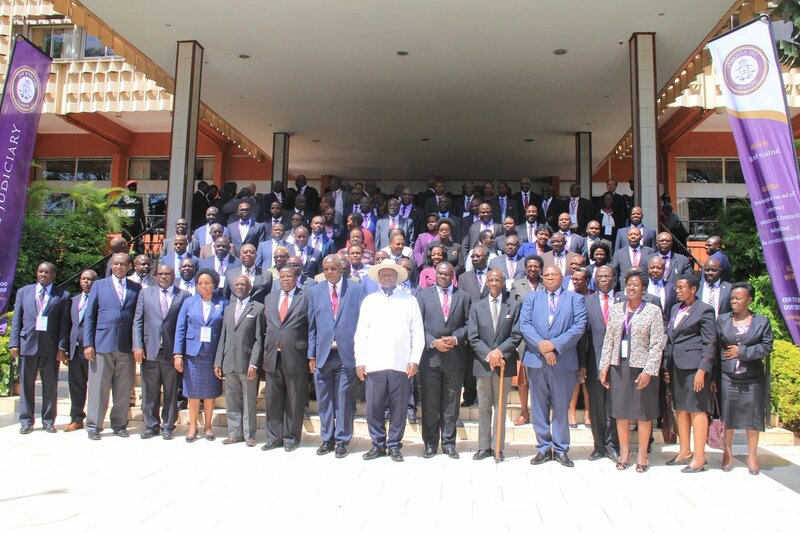 KAMPALA – Inspector General of Government (IGG) Irene Mulyagonya has warned Judges that continued sharing of events in their private lives on social media will compromise their integrity at work. Speaking at the ongoing annual judges’ conference in Kampala on Wednesday, Justice Mulyagonya said she has seen many judicial officers mobilise financial support for family functions such as weddings through WhatsApp, which she said may be misinterpreted by the public. “It has been drawn to my attention where judicial officers are organizing functions for the members of their families like graduation parties, marriages, baptism, this shows us how dangerous social media can be. A message goes out from a judicial officer who is calling out for contributions and you know how these messages can go,” Justice Mulyagonja said. “It may raise perceptions of bias that this judicial officer is actually indirectly asking us to contribute so that when our case comes up for hearing for him/her, the officer may be partial. That is just one of the things happening and we should watch out,” she added. The IGG also urged judges to openly declare their wealth under the Leadership Code Act so as to remove public perception that they accumulate a lot of wealth through bribery. The judges’ conference will end on Thursday.